Council voted on Friday to expropriate a parcel of downtown land to make way for the planned Warehouse Campus Neighbourhood Park. “The parcel is one of four that the city is buying with $28 million from the downtown community funding levy.” Only Councillor Caterina voted against expropriation. 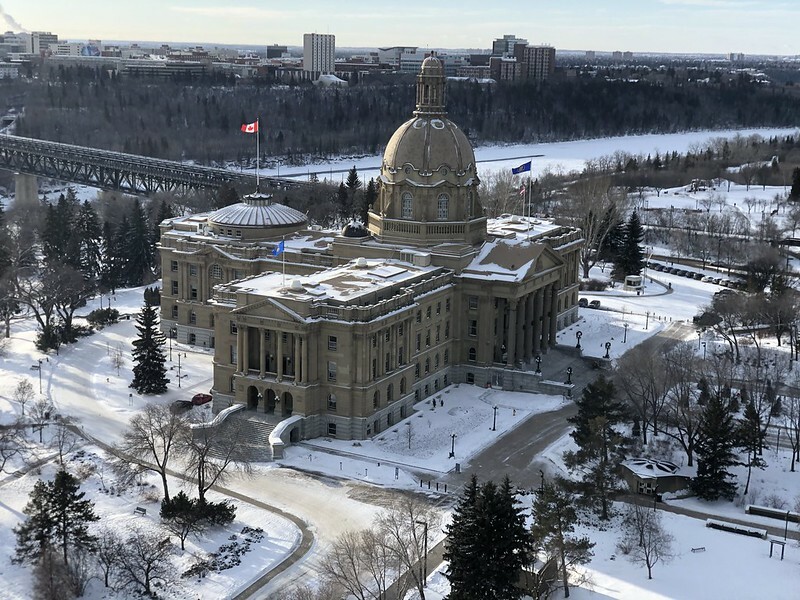 According to the Realtors Association of Edmonton, the market in 2019 will remain stagnant and will likely see little growth. “We are expecting 2019 to be similar to 2018, with high inventory and lower sales continuing the downward pressure on average prices,” said Michael Brodrick, chair of Realtors Association of Edmonton. A community group called Friends of our Park is asking the City to reject any proposal to extend the Royal Mayfair Golf & Country Club’s lease until he public can be more involved. The current lease expires in 2051 and the club is hoping to extend that to 2069. Staff continue to transfer artifacts from the old RAM to the new RAM, which means the old building is expected to be occupied until 2020. No decision about its future beyond that has been made. Councillor Nickel wants EEDC to be audited before it receives any more funding. EEDC says an audit will take place in 2020. “You don’t get to pick and choose when public money is on the line, and decide when the city comes and does an audit,” Nickel said. Cidex Group of Companies is hoping to have land around Whyte Avenue rezoned to allow for three towers up to 20 storeys high, with podiums. Edmonton Oilers forward Leon Draisaitl has been voted into the upcoming NHL all-star game. Nine civic boards are recruiting 22 new members. The deadline to apply is February 3. Founders & Funders takes place on Monday afternoon at Startup Edmonton. The Oilers continue their home-stand with the Sabres on Monday evening, the Flames on Saturday, and the Hurricanes on Sunday evening. Edmonton Opera hosts Opera 101: Hansel & Gretel at CKUA on Wednesday evening. The 10th annual Edmonton Whisky Festival takes place on Wednesday evening at the Delta by Marriott Edmonton South. The Alberta Industrial Heartland Association is hosting its annual stakeholder event on Thursday at the Shaw Conference Centre. Chinatown Dining Week kicks off on Thursday! The event runs until January 27 at eight restaurants in Chinatown. Here are the menus. The Cold Snap Cheer and Dance Championships take place Friday to Sunday at the Edmonton EXPO Centre. The Lunar New Year Night Market & Tết Concert takes place on Saturday at the Edmonton Convention Centre. The 2019 Official Women’s Anniversary March: Can’t Stop, Won’t Stop starts at Churchill Square on Saturday at 1pm. Michael Janz is curating the Reel Revolution film series at Metro Cinema. The first film screens on Saturday evening. The Pride Centre of Edmonton Gala takes place Saturday evening at the Art Gallery of Alberta. Bridal Fantasy takes place Sunday at the Edmonton EXPO Centre. TEDxMacEwanU is coming up on January 23 at the Betty Andrews Recital Hall.